Want to get somebody’s heart racing this Valentine’s Day? January has been described as ‘the Monday of months’ and we’ve had to suffer five Mondays in this month alone. If you want to cheer your partner up this Valentine’s Day, why not give them a gift vouchers for our driving days? Our One Day Intense Course is an excellent way to shake off those cobwebs and celebrate the beginning of spring. After experiencing intense speeds and an unbeatable explosion of adrenaline, your partner will soon forget that January ever happened. They can learn the basics of navigation and timing with an expert instructor explaining approaches to corners, braking techniques and driving lines. Our driving days are the ideal gift for anybody who loves plenty of speed. 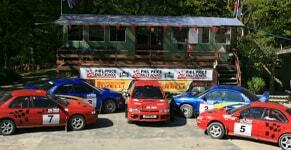 Phil Price Rally School offers the opportunity to experience genuine forest stages in the centre of Wales. 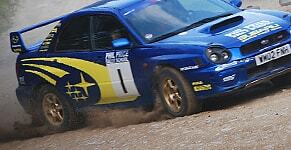 Our rally experiences are also brilliant for spectators, so don’t forget to have your camera ready! If you’ve been left out of pocket after the Christmas period, you can always pay half in advance and the rest on the day. Discover more reasons to choose our Driving Day Gifts for your Valentine.